I do often enjoy in the guilty pleasure of blind buying, being just inspired by what the game can promise in a 30 seconds trailers and a couple of screenshots. Sometimes I get away with a surprising game, sometimes I fail and end up with grief. This is the case of Human fall flat. Human fall flat is one of those physics based titles where you need to interact with a somewhat weird world and a different control scheme. Think of a Mario meets Surgeon Simulator if it helps. Sound fun? Not quite. As seen before, each arm is independent and you can stretch, move arms upward, downward, grab something, hold it and release. To climb a step you need to raise your arms, hold onto it, and lift yourself releasing the grab at the right time to avoid disastrous results of awkward poses and ultimate failure. When you move the arms of your characters, the camera sort of follow you, and Human fall flat soon becomes a matter of dealing with your character while navigating uninspired platforming levels with almost anything to interact but boring situations. 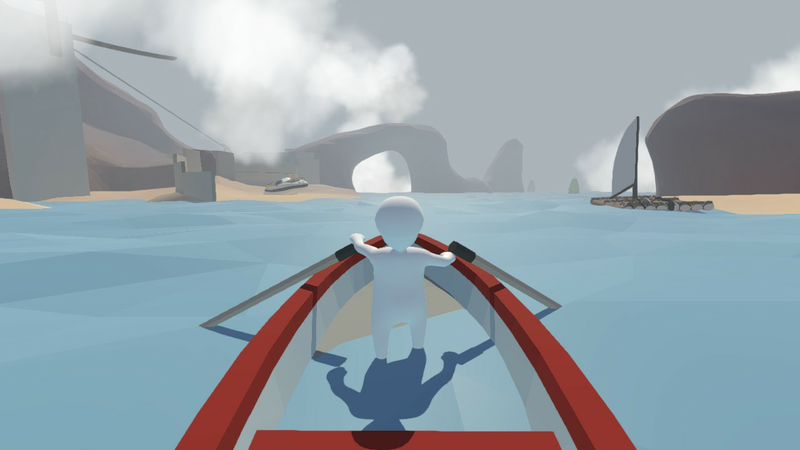 Arming a catapult, or rowing in a boat on a barely moving river is the pinnacle of fun you can expect in Human fall flat. Even when you practice enough to tame the controls and actually manage to perform actions appropriately, there is hardly any sense of achievement or fun. 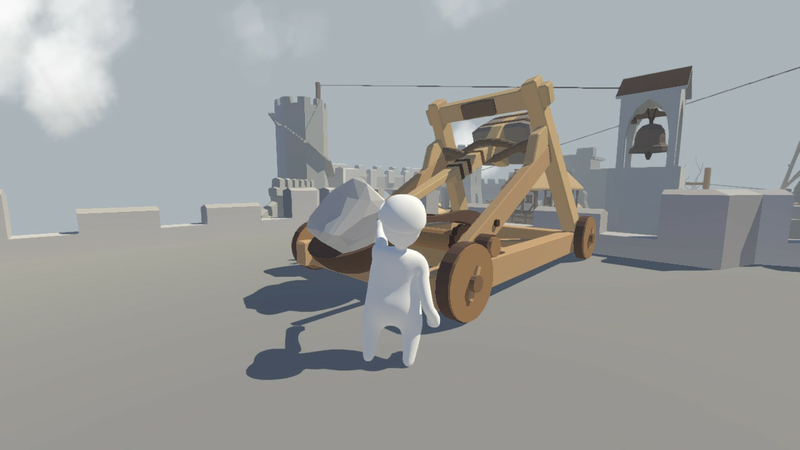 Human fall flat fails because it does not features interesting platform sections to be explored with a peculiar control system, instead presenting dull situations made hard by crappy controls. If you are intrigued by the idea of a physics based hilarious platform with quirky inputs, try Octodad instead. Human fall pale in comparison. To give credits to the developers the game now include a free multiplayer update, where you can venture in the same not really exciting enviroments with friends. I assume sharing the misery can be fun, but I was not bothered to try.